Jordan Wright was a 16 year-old boy diagnosed with Muscular Duchenne Dystrophy. He passed away in August 2015. Whether he was staying at Canuck Place or attending a Teen Camp, the kitchen staff were sure to have mac and cheese on the menu. An added detail of care that mom, Tiina looks back on fondly. These camps and teen groups were important for the Wright family, they were one of the only places Jordan could connect with other kids his age with similar conditions. With them, he could just be a regular teenager, hanging out with his friends. 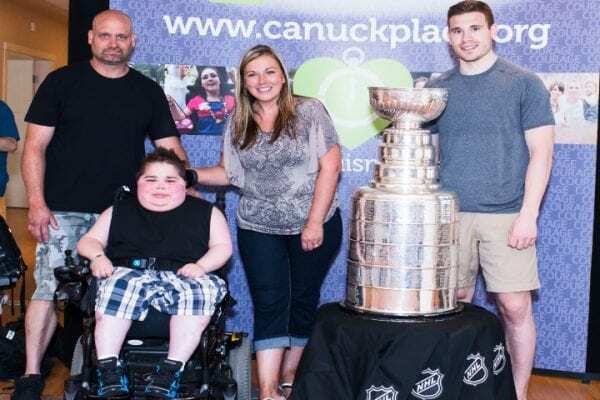 Jordan passed away unexpectedly, the same day he and his family attended Dave Lede House for a special visit with the Stanley Cup. The photos taken would end up being the last family photo the family took together. When Jordan passed, Tiina called her Canuck Place counsellor, who was by her side within an hour. “Canuck Place is there for you when your child passes and the support there is just amazing,” said Tiina. “It’s not like it just ends when your child passes. It’s an amazing support, and you need that support system because losing a child, not everyone’s going to get, and here they do. It doesn’t matter what you do there, you’re still part of the Canuck Place family. 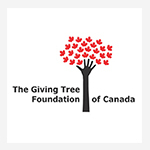 Canuck Place has continued to support Tiina and her husband, Greg, through individual and group counselling sessions and Dave Lede House in Abbotsford. Last year alone Canuck Place facilitated 1027 individual counselling sessions for children, siblings, parents, and grandparents who rely on our support. You can ensure this support continues by making a donation today.